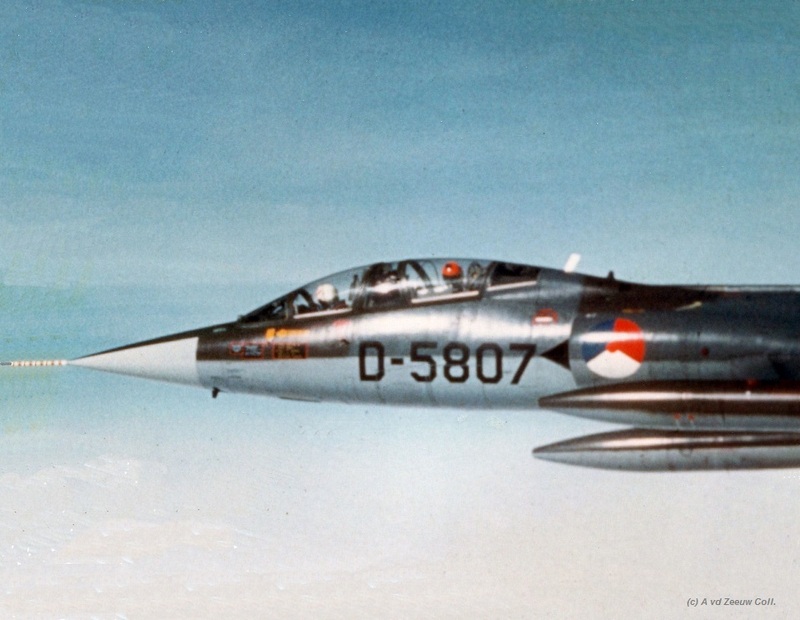 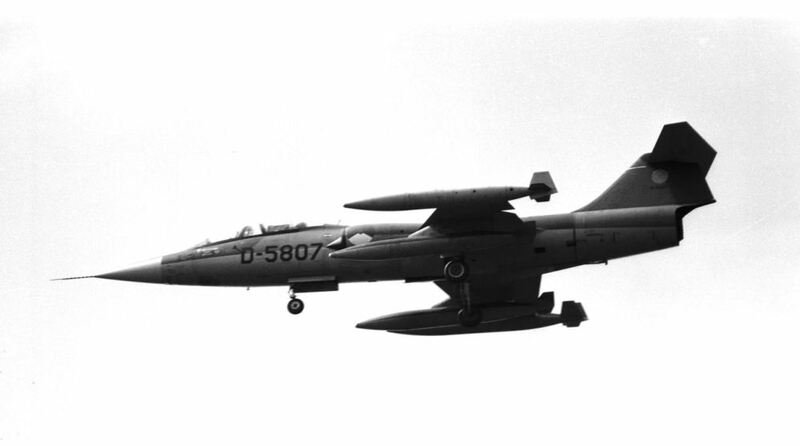 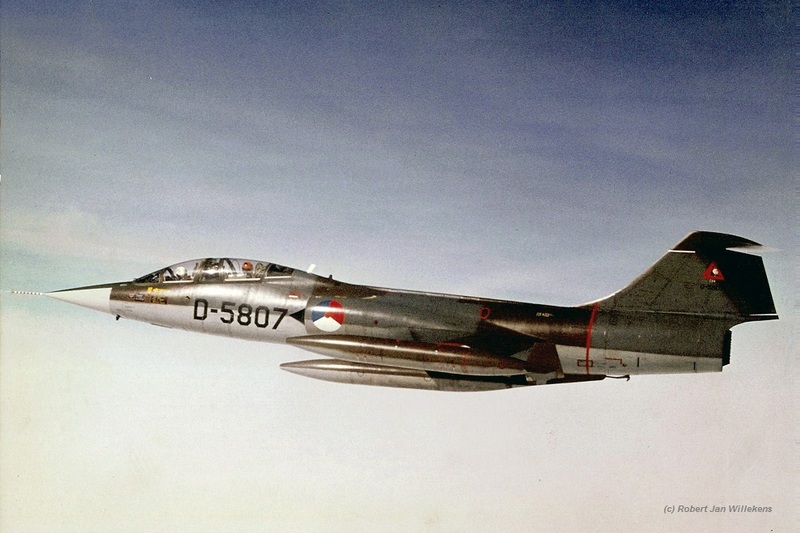 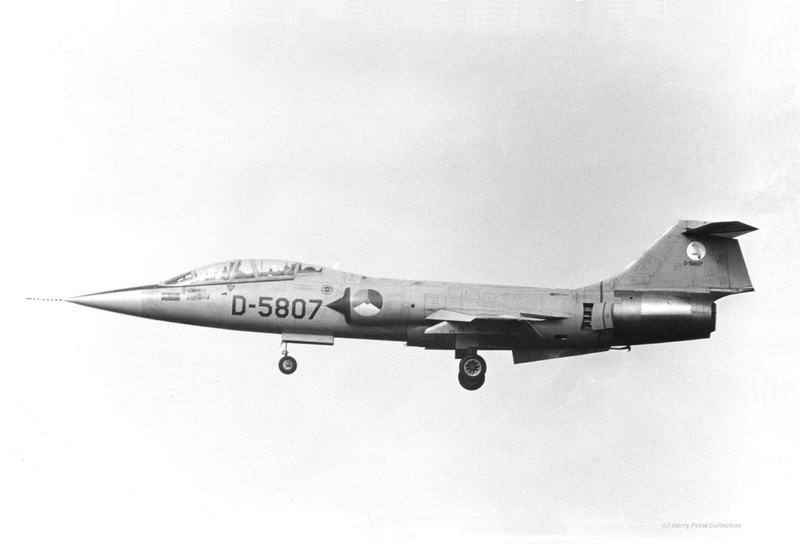 TF-104G D-5807 landing at Leeuwarden in the 60s, still light grey and with 322sq badges. 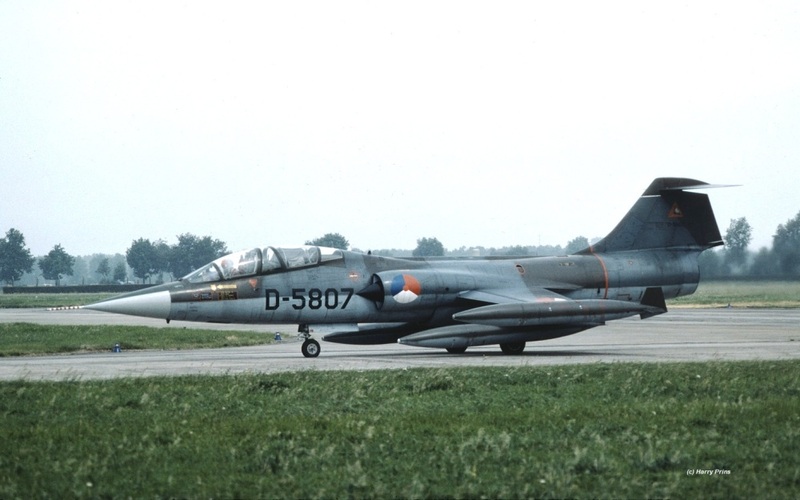 TF-104G D-5807 during a mission (photo thanks to A vd Zeeuw)..
TF-104G D-5807 during a mission (photo thanks to Robert Jan Willekens)..
TF-104G D-5807 landing at Leeuwarden, 9 March 1977. 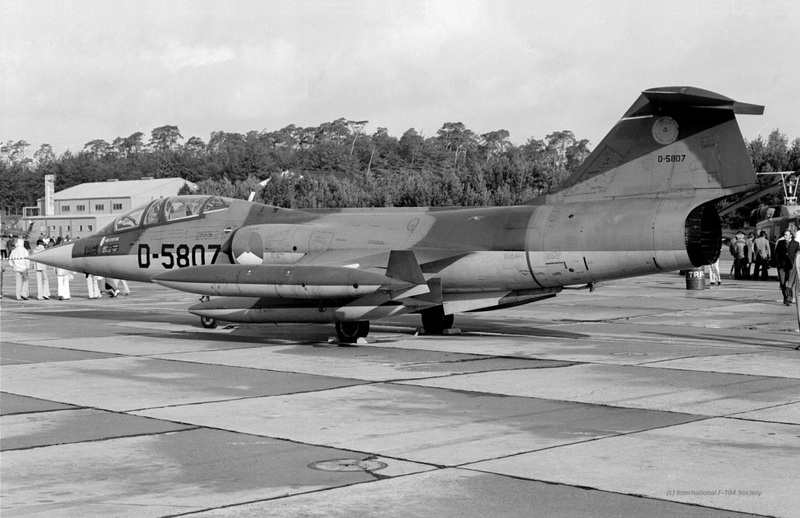 D-5807 at Ramstein, taken on 22 September 1974. 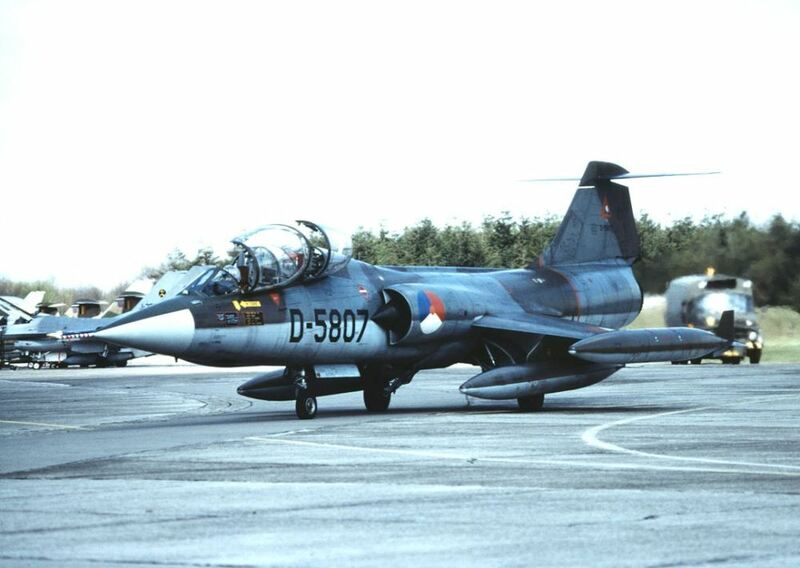 TF-104G D-5807 taxying to the runway of Volkel on 14 April 1982 during a spottersday.